Anything that requires wearing a maxi dress is a yes for me! I could really live in maxi dresses….super comfortable, covers my legs, and flowy enough to feel comfortable in for a long period of time. I liked this look of Jessica Alba because (like a lot of my other Hollywood to Housewife posts) I already had these items in my closet, plus it was an outfit I could actually wear on a daily basis-it fit my life! I decided to swap out the shoes for my lace up sandals-the shoes that I had that were similar to Jessica’s looked ridiculous with my dress! 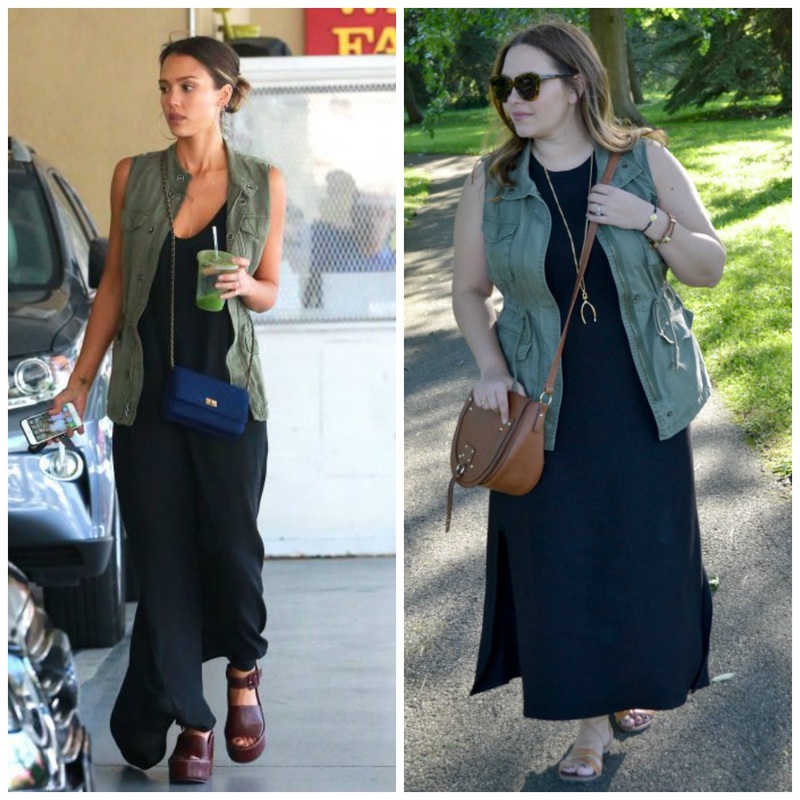 A black maxi dress is a summer staple-because it is so versatile and can pretty much take you from day to night, it is a warm weather must have. Utility vests are another closet staple. I have had this one for two seasons and still wear it just as much as I did the first season. It goes with everything, and can be relatively inexpensive!